With soft, bright and fresh fabrics and the envelope-shaped design, the Harmony Double is a stylish and comfortable sleeping bag that is great for first-time campers, caravanners, and families that prefer a little more space to relax. The square envelope shape offers generous internal space for freedom of movement and comfort. 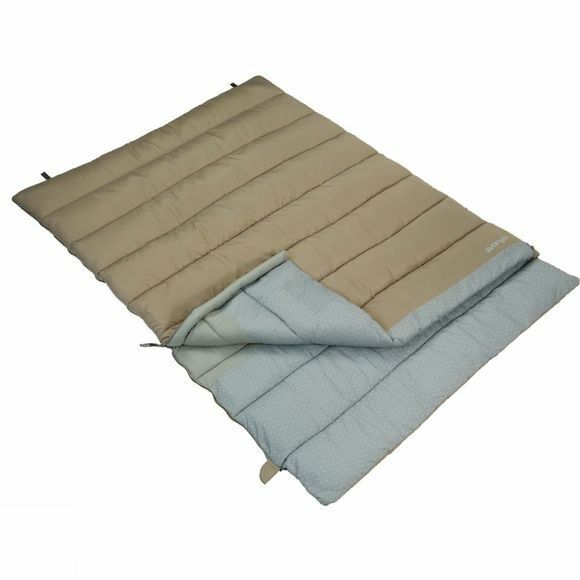 The versatile two-wayZips can be unzipped from the top or bottom to seal in warmth or provide ventilation as required and insulatedZip baffles help to keep body heat inside the sleeping bag while sealing out colder air. Self-locking sliders stop them from accidental opening. The fabric is a microfibre that is soft, cosy and breathable while the siliconised hollow fibre insulation is cosy, durable and retains warmth in damp conditions.